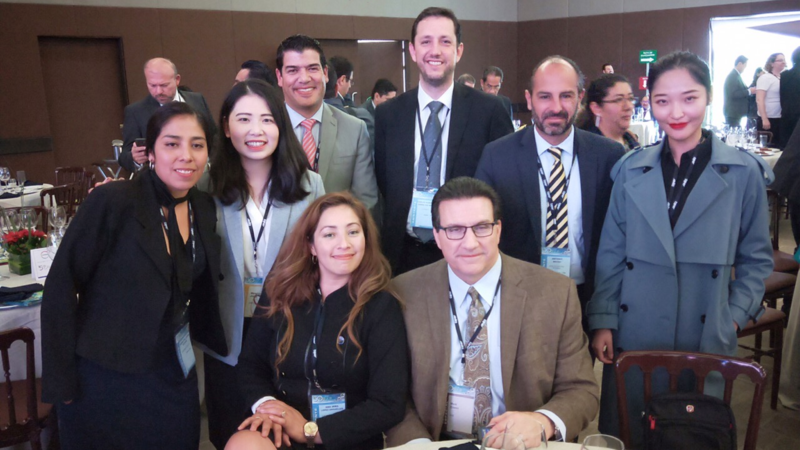 The 50th NationalChemical Industry Forum was completed perfectly in Mexico City on October 19, 2018. 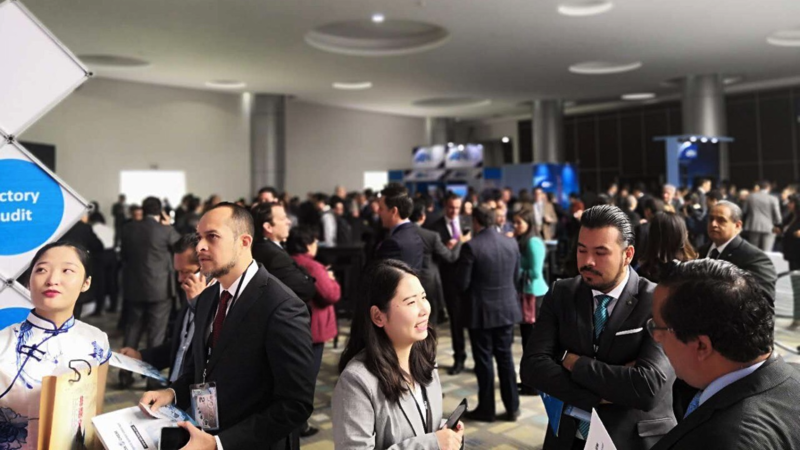 This forum is hosted by ANIQ, the biggest chemical industry association in Mexico, so it is the largest chemical industry event in Mexico and has caught many attentions around the world several months before it started on Oct. 18. Due to various changes in the chemical industry and the upcoming general election of president, this year, the forum may have great influence in the future development, and was much more emphasized than ever by attracting many chemical giants. As one of the five sponsors, OKCHEM had a chance to get a booth in the forum to display the products and services on okchem.com, and had achieved great success in the two-day event. OKCHEM had not only sucessfully presented itself as a leading B2B platform for global chemical business, but also helped three quality suppliers promote their products and win potential customers, respectively Shifang Zhixin Chemical Co.,Ltd, Jiangsu Qingting Washing Products Co., Ltd and NANCHANG CHANGMAO CHEMICAL INDUSTRY CO.,LTD. 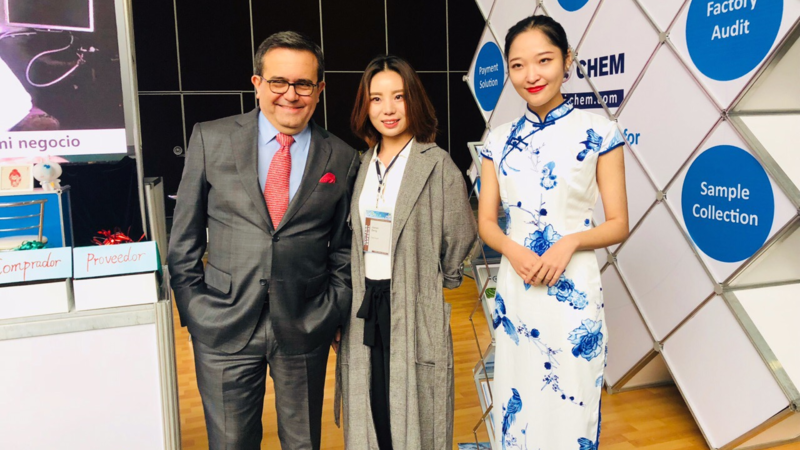 For example, on the first day of the forum, a fertilizer customer ( from Vera Cruz ) came to our booth 3 times because he was very interested in our platform okchem.com and the product sample from Jiangsu Qingting Washing Products Co., Ltd.
During the meeting gaps, OKCHEM attracted many key persons from international renowned companies in the chemical industry like Covestro, BASF and SOLVAY etc, and introduced them about our solutions to both the chemical buyers and suppliers. Many of them had shown great interests to our services and had left the contact information for further cooperation. 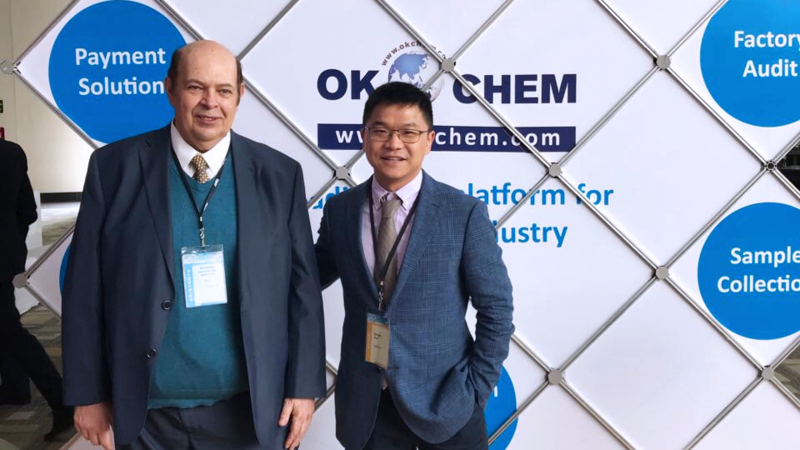 Besides the key players in the industry, OKCHEM had also left a very good impression to the local departments of government and related organizations. 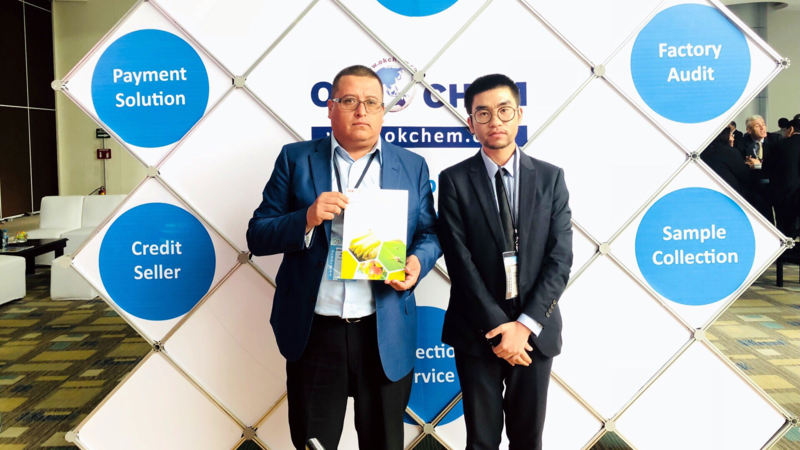 In this forum, OKCHEM had deep conversations with about 60 companies from differents industries like plastic, food additive, parmaceutical, water treatment, fertilizer and logistics service etc,. 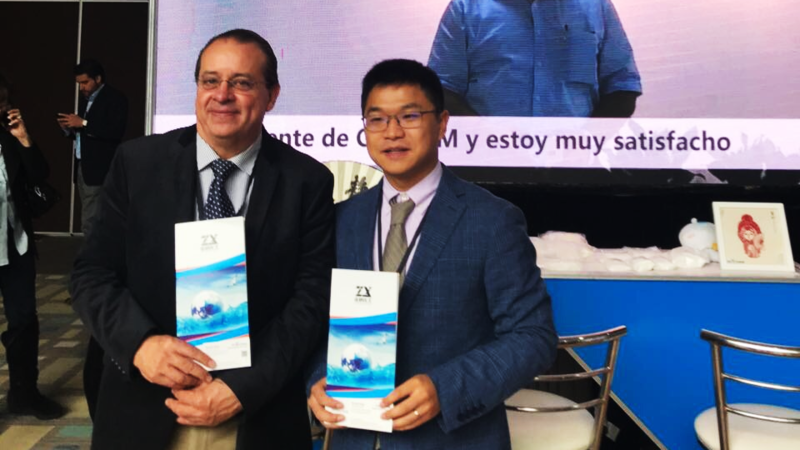 After the event, we will continue to follow their needs and promot our platform and our suppliers in the Mexican market.